Translator and art historian. 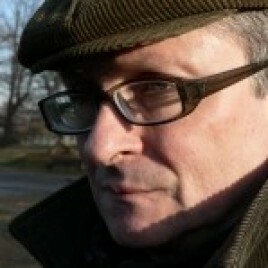 Some of the works he has translated include Eric-Emmanuel Schmitt’s collection of stories published in Poland as Historie miłosne, Alfred Jarry’s Le Surmâle, Georges Perec’s L’Art et la manière d’aborder son chef de service pour lui demander une augmentation, and Perec’s famous La vie mode d’emploi. Magdalena Miecznicka in the Gazeta Wyborcza wrote about Brzozowski’s translation: “Polish text, translated by art historian Wawrzyniec Brzozowski, reads wonderfully [...]. The process of translation required not only linguistic virtuosity (accumulation of sophisticated nouns in detailed descriptions of old-fashioned interiors, warehouses etc) and substantial erudition, (covert quotations from pieces by famous writers, allusions to well-known prints and paintings), but also patience in deciphering the writer’s intentions.” The Perec translation gained Brzozowski an award for translation debut, granted by the Literatura na Świecie magazine.